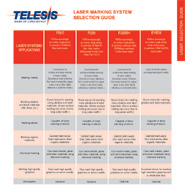 TELESIS offers a wide variety of commercially available Class 1 and Class 4 laser marker enclosure styles and sizes. When the situation demands it, our experienced custom engineering staff can design one to fit the specific needs of your application. 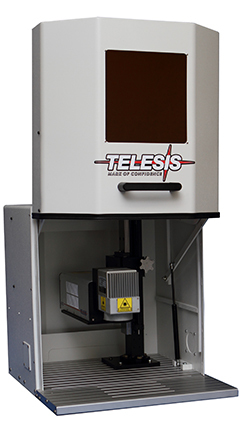 Telesis ProStations provide a modular way to safely mark components within an enclosure engineered to CDRH Class 1 and ISO13849-1 guidelines. "Complete Solution" Class 1 reduced footprint laser workstation for FQ50, FQ30, FQ20, FQ10, EY6, EVCDS and EVC lasers. Ultra compact rugged TablePro "Complete Solution" table top workstation for FQ10, FQ20, FQ30, EVC AND EVCDS laser marking systems. Rugged DrawerPro "Complete Solution" laser marking stations with convenient load drawer assembly. 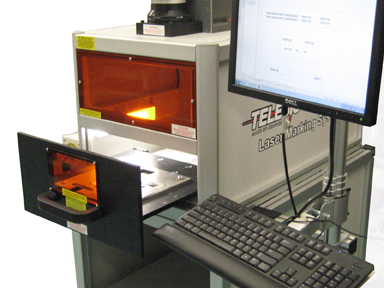 Available for FQ10, FQ20, FQ30, EVC and EVCDS laser marking systems. In addition, when the situation demands it, our experienced custom engineering staff can design one to fit specific needs of your application.